Even though I had promised to break my blog “fast” with reflections on the Boston Marathon bombing and its aftermath, Life led me elsewhere. Thankfully. I have known him for a while now, this former Special Operations soldier. 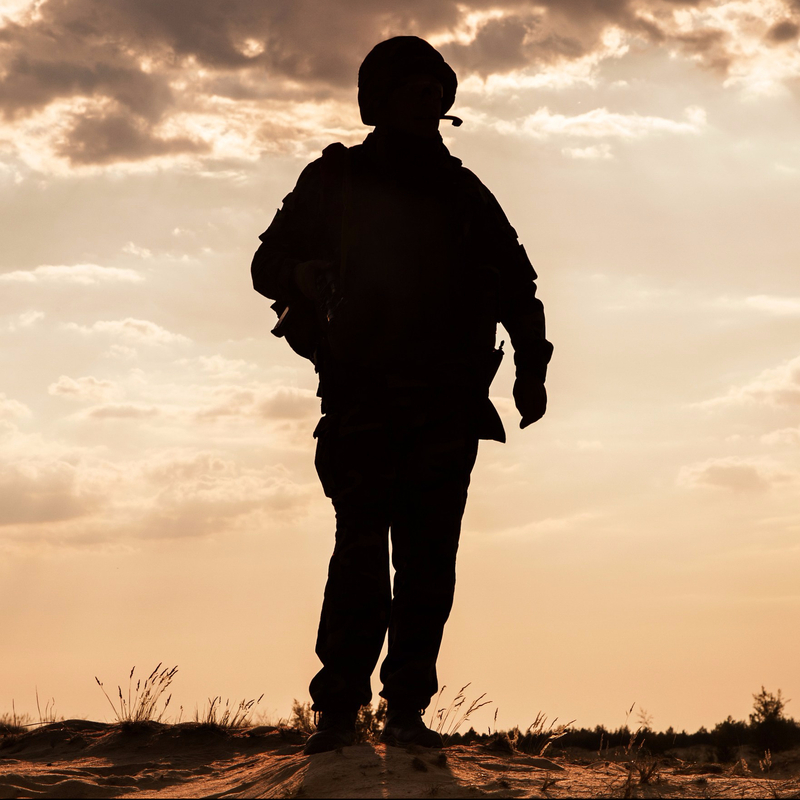 He had seen—and more, had experienced—more than his share of horrors in the Middle East, often accompanied only by a few men who eventually came to mean Life itself to him. “Brothers” finally took on a meaning that previously he’d only dreamed of. There were those who didn’t make it back. He struggled in the years afterwards, making some attempts at treatment, but finding none that he found that useful. Drugs, especially painkillers, became his constant companion. He knew he was wasting his life. Finally he faced a severe medical crisis. He came home to Indianapolis to seek the medical treatment he needed—and even more, to find a reason to keep on living. The medical treatment, he received. The painkiller problem remained, however. And thus we met. At first he was probably more eager for Suboxone (the opiate substitution medication) than I was. His medical treatment had taken a lot out of him, after all, and he had very real reasons to have very real pain. While Suboxone is sometimes useful as an analgesic, it has not been, in my experience, the best painkiller that has found its way onto the planet. I urged him to hold off, to have us work together first to keep his pain medications steady, on a schedule, controlled, until he could recover further. During those initial weeks he laid out his story of War. Even when hurting, even when on pain medications, he was quick-minded, analytical to the max, a strategist par excellence, just as he had been in the military. Yet at the same time, in a way unusual for men as gung-ho as he, he was unafraid to acknowledge his more disturbing emotions, his fears of never getting better, his grief over buddies never to be seen again. Indeed he couldn’t. I suspect he’d always been on the wiry side, but both his medical treatment and his drug usage had left him a bit less imposing that he certainly once had been. His curly hair was of a length far afield from the judicious cuts of his military days, no doubt: neat, clean, true, yet in a certain way more an afterthought, as if the rest of his body was having to work long past quitting time to keep the legions of locks on his head from tipping him over sideways. Eventually he started the Suboxone. It was indeed helpful. But nowhere near as helpful as the woman he met one fine day. I walked out of my office one afternoon to find a man sitting in the waiting area whom I’d never met, his long, jeans-covered legs comfortably stretched out a good mile and a half into the center of the room as he sat askew in his chair, perusing some cheap magazine from off the table next to him, his hair cropped stylishly short, his entire musculature at parade-rest, I guess one could say, both at ease and yet, what, ready, just in case. The man looked up at me, smiled, and shot a quick wave. “You better believe ‘I guess,’” I replied, impressed by how the cut made him look both older and younger simultaneously, more seasoned, yet more daring. “I think my girlfriend likes it better like this,” he said as he folded his hands onto his lap, sliding himself down into a just-hanging-out-here slump that was anything but sloppy. “So all’s going well with you guys?” I asked. Then he stopped, for moment staring right at me, but at the same time right through me, not in that way that gives one chills, but rather in a way that seemed to advise me that even if he were to speak further, our conversation would not be resuming any time soon. After a few seconds, he returned his gaze back from wherever to me. If a smile can be calm, his was. “What a good thing, eh?” I could only respond. Sadly, in the world of modern combat veterans, calm smiles often last only so long. It was a few weeks later that I received word that he was wanting to speak to me right away. Fortunately I was able to see him later that day. The news was not good. His battle buddy, the man “closer than a brother “ to him, had just committed suicide. “I . . . I had no idea,” he whispered to me, doing everything a good military man can do to maintain the composure that was anything but his. The two of them had been in continuous contact. They had spoken only a few hours earlier. There had been problems in the man’s life, true, but . . . He went to the funeral, of course, faithfully watching over his buddy’s widow in the very way he knew the man would have done had the roles been reversed, had it been the ever-patient, ever-listening woman at his side who would have received the folded flag. The months passed by. He found a job. He had to in-out a few appointments, assuring me that he was doing OK, not great, but OK. Then recently he came in, collapsed in the chair by my desk, and gave me that look that I’ve seen from so many veterans with whom I’ve had the honor to work: the “yeah, Doc, the jig’s up” look. Time to be gentle. Time to be real. His smile in return was pained, no longer calm. Yet it was still a smile. Again, the question I hear day after day after day. He’s gained some of his bulk back. In no way is he small. He’s more agile: not wound tight, ready to spring, but more ready to dart, stealthily, sort of like the Road Runner with good upper-body strength. The calm smile was back. “You look good,” I told him. He said it all right to me. Gone was the right-through-me. Even after all the one-to-one we’d experienced together so far, this was five levels deeper. At least. The calm smile turned quizzical, not in a threatening way, more in a “now, isn’t that a question” way. He looked off for a bit, a few seconds only, then looked right back at me. He smiled again, not so much calm this time as, what, thankful. Tearfully thankful. His water-rimmed eyes ever slowly reached out and took mine in their grasp, not forcefully, but confidently. Sadly, but confidently. The old psychoanalysts always talked about the psychic, emotional power of the skin, that millimeter-thick barrier that keeps us both whole and vulnerable, that both contains us and exposes us. Yet for one wiry, analytical man who has finally found love, finally found the family who can accompany him into the future, his skin has also freed him, has put a past in its place, has grafted onto him a different, yet equally-powerful love that will link a well-loved past into a well-loved future and finally, as much as can be done after War, make him whole. « Briefly . . . This is a wonderful story of slow revelations, just one moment after another, on and down, deep down. Thank you. Nicely done…as usual…glad to hear of this soldier’s coping skills. Thanks so much, again. Always good to hear from you. hmmm… silence whispers loudly. damn mirrors. thanks for the reminder, well, almost. So good to hear from you again as well. I wholeheartedly agree: silence often whispers oh-so-loudly. I guess that’s a good thing. I guess.